Over to Scott who is being taught vital vet skills by Dr Deaton (who, against all the odds, is not dead) and we’re all supposed to go “aww” because a little girl calls Scott “doctor” and Deaton does the paternal smile thing. Back to the woo-woo and the werewolf who Scott beat last week; they have his claws or, rather, talons which are actually eagle talons. Power absorbing talons (and we get another loop hole in the whole “True-alphas can’t be drained” – they can be drained by betas they’ve made or… maybe… by wolves they’ve accepted into their pack though that should be impossible). Which Stiles still tries to make a big deal of, of course. Even Malia sees how silly he’s being while also, of course, being very uncomforting. She offers to torture him, she’s perfectly willing. At least Stiles’s suspicion is partly based on how Theo has apparently changed since 4th grade. First day at school, Scott and Kira are happy and Lydia and Kira are a little surprised that Scott is in their AP biology class (he has clearly been doing lots of work I also kind of love the whole conversation Lydia and Kira have with their eyes alone). Theo is also in the class – and they have a big test coming. Mason has made a reappearance to tell Liam about the creepy supernatural stuff that attacked him while Liam is indifferent and denies it all. But Liam has girl issues and Mason is distracted from the whole supernatural monster that kidnapped him with the idea of watching the soccer team practice. And apparently this girl hates Liam for reasons. While poor Tracy is still having terrifying hallucinations of the same creepy steampunk guys who were in the end of the last episode before Lydia breaks through the vision (which leaves claw marks on her locker). Lydia tries to convince her mother there’s more than night terrors here and decides to help. Help involves taking Parrish to examine Tracey’s home and see how secure it is – including finding that her supposedly seal skylight opens easily. He also either lies are doesn’t look very hard – because the skylight is covered in claw marks, blood and dead corvids. Parrish does offer to come check the house after hours and Lydia wants to spend time with him doing that. 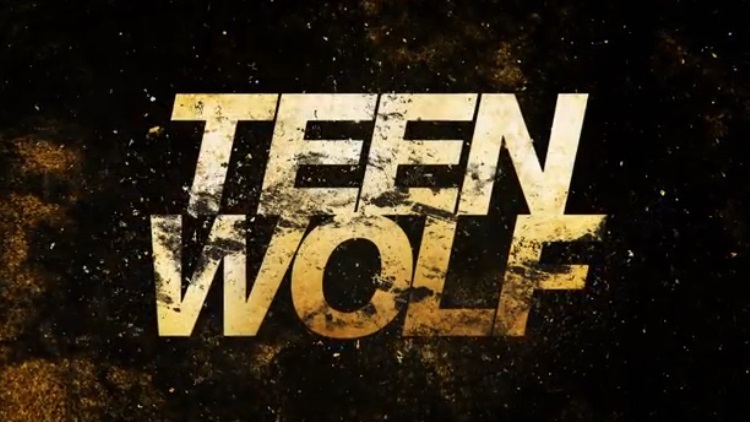 In the locker room, Theo recounts how he became a werewolf – he was bitten by the alpha that Ethan and Aiden killed and why he needs to be in Scott’s pack. Stiles is still uber suspicious and continues to “investigate” Theo for anything suspicious but his evidence convinces no-one (I especially like his “if someone’s parents are killers we shouldn’t trust them” with Malia pointing at her own parentage as a counter example). Abandoned by people who won’t take his paranoia seriously, he recruits Liam. Which means Liam and Stiles following him in the middle of the night. And Stiles urging Liam to actually tell Mason about the whole supernatural thing – before Liam walks into a pit with some significant jewellery at the bottom. They then use Liam’s werewolf skills to smell Theo’s grief as he drops a flower in the water – Stiles realises what’s happening and hustles them away; this is the bridge where they found Theo’s dead sister (he had a sister who got lost and died, apparently and Stiles, even in his excesses, isn’t going to intrude on that). As they leave, Theo finds them and asks Stiles why he’s so suspicious and weird (because he’s STILES) and Stiles presents his limited evidence (he thinks Theo’s dad’s signature changed). Theo lays a huge guilt trip on Stiles about how great a friend Stiles is to be a creepy stalker and he wishes he had the same. At Tracy’s Parrish is watching – and Tracy acts very very creepy as she sneaks out. Lydia joins Parrish after she’s long gone and don’t even realise it. Instead they flirt while Tracy wakes up in the crepy medical experiment chamber of the bioshock villains who inject her with something. We look back at the creepy things happened to her and see it was her own doing – and se seems to be a werewolf. Liam goes to meet Mason to finally tell him the truth when a wolf appears behind them. They run. Until Liam roars at it – naughty wolf meet werewolf. The wolf turns and leaves and goes to the bridge – and turns into Theo. Hmmm we haven’t seen many werewolves who can go full wolfy. And when he goes home he chides his fake father for not having a perfect fake signature – and fake!dad seems terrified of him – which makes sense when Theo breaks his hand. I know the show and a lot of fandom want Lydia/Parrish to be a thing but, putting aside the actual ages of the actors, can we remember that Parrish is a police man who is also apparently old enough to be ex military as well, while Lydia is a high school senior. I dearly dearly hope that Mason knowing the truth means he is actually going to be included in the storyline and not be another neglected token. I kind of want to get my hopes up – but we’ve had four seasons of extreme dubiousness and sidelining when it comes to both LGBT characters and most POC so… I’m wary. Honestly, I was actually expecting him to disappear without a trace or real explanation. Like Danny and Ethan and Caitlin. I loved Scott and Stiles’s byplay – Stiles’s suspicion came off a lot like jealousy for Scott last episode (and I think there’s some of that) but this really shows the protectiveness and it works and is very real when we look back on their characters. Part of what makes Scott such a nice guy is he does see the good in everyone, he is willing to open his arms to anyone, even when he obviously shouldn’t. Stiles’s extreme need to check on everyone coming close to Scott makes a lot of sense when we realise how vulnerable Scott makes himself.